A young family had purchase this 1970s modernist house as a weekend retreat. 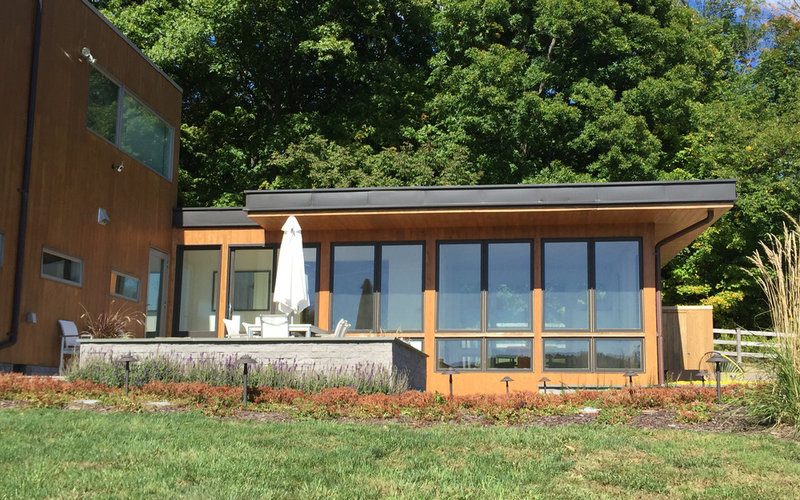 Clad in weathered cedar plank, the house was a two-story cube atop a bare hill with oversized windows and doors. 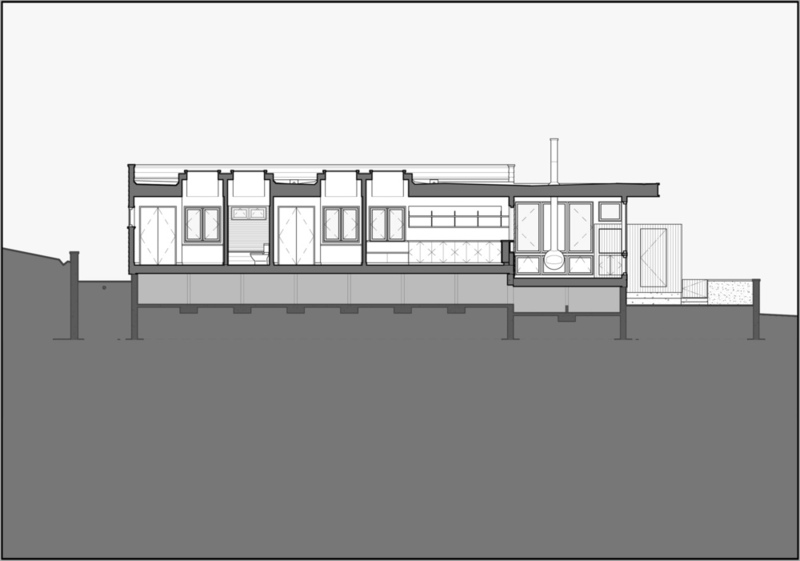 An existing double-height open volume, with sleeping lofts, created a dramatic space impractical for their needs. 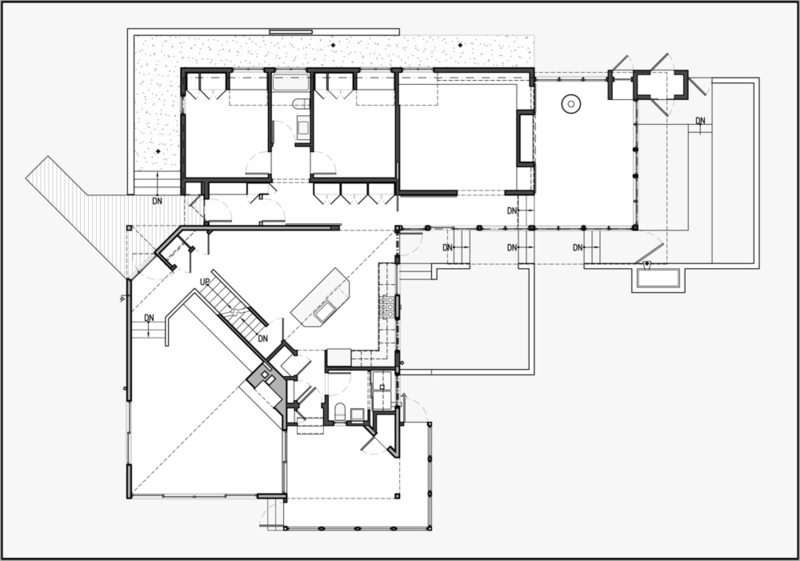 Leo J. Blackman (now BLuHR) Architects designed a modest single-story addition that extends the original house yet defers to it. Clad in painted cedar clapboard, the new construction defines a south-facing courtyard. From the dining room, full-height glazing frames views of an adjacent horse farm. The addition’s large roof overhang provides shading, and its planted surface conserves energy and water. 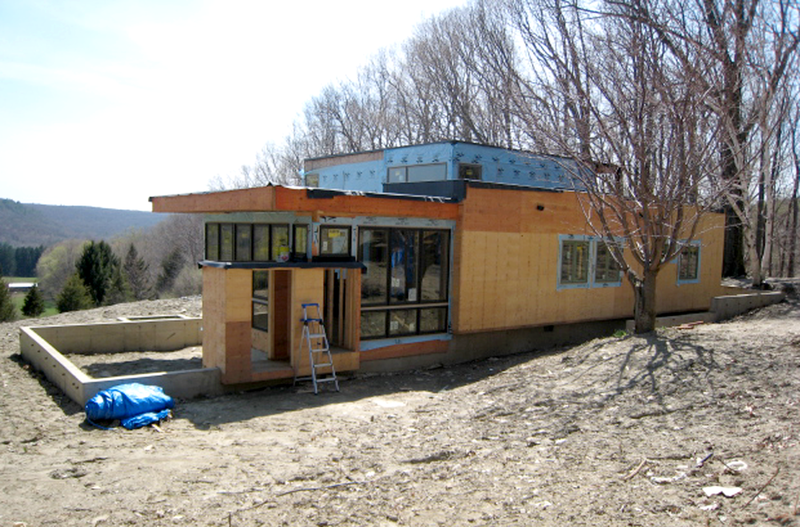 The main house will receive photovoltaic panels.